We took a trip to Austin, Texas, to visit someone very special, and of course I took a few photos. 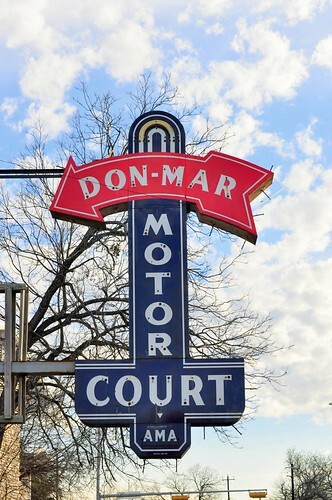 If you’ve been reading the blog for a while, you know that I’m drawn to vintage signs. Austin has some good ones, new as well as vintage. . . . 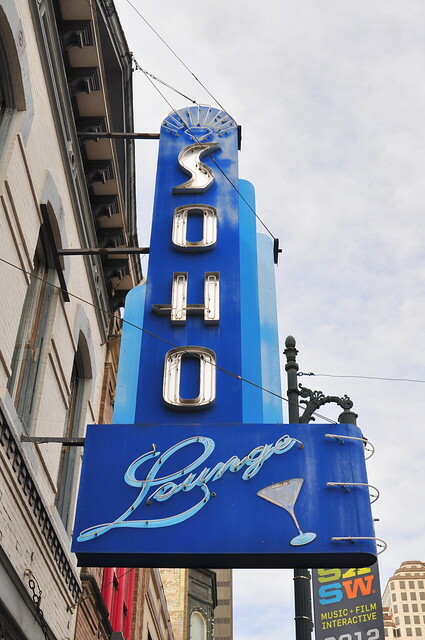 This place no longer exists, but the sign remains. Austin is the live music capital of the U.S., so there are a lot of clubs where you can hear great music, especially blues. 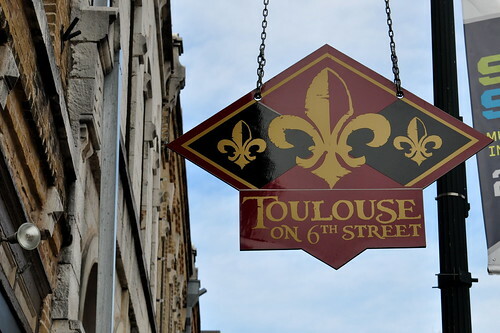 Many of them are located on Sixth Street. The sign isn’t vintage, but I liked the graphics. The bar, however, is very old. 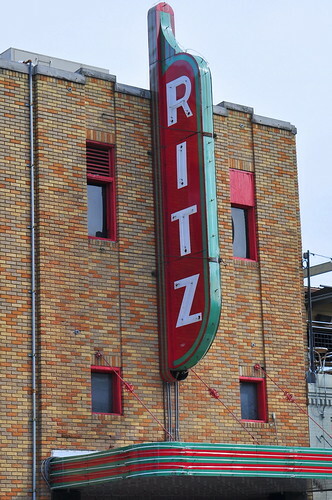 The Ritz was the first theater in Austin to be built specifically for “talkies” (movies with sound). It’s now the Alamo Drafthouse Ritz, where they serve food and show older films. 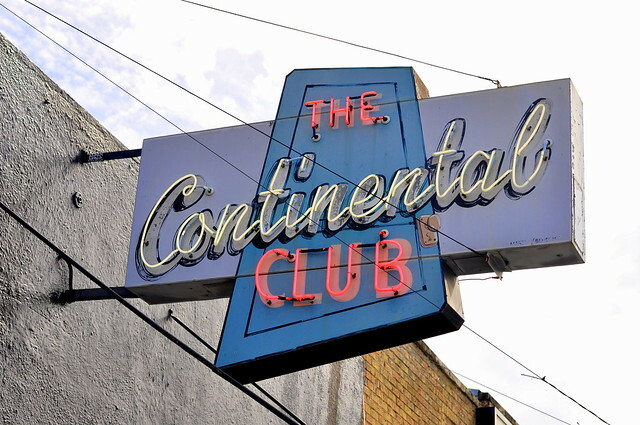 The Continental Club has been called a “high class dive bar.” From the looks of the place, the name fits. Love the sign. Hope you all had a great weekend. . . . 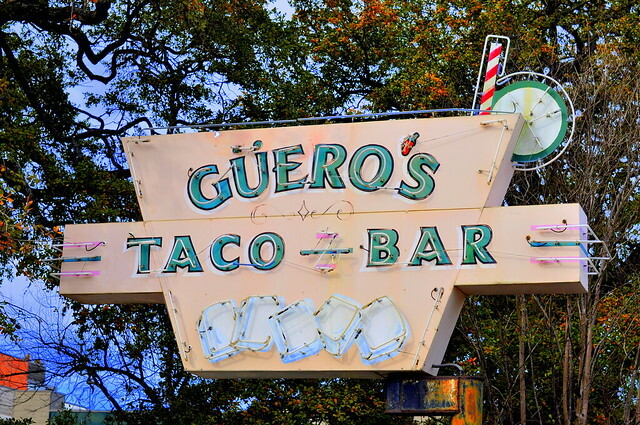 This entry was posted in photography and tagged Austin, Texas, vintage signs. Bookmark the permalink. I haven’t been to Austin yet, but I would love to go! It is a fun city! I would love to see some live music there! That’s quite a collection. 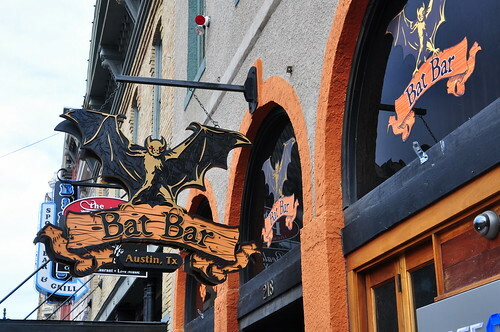 I particularly like the Bat Bar sign. I’d love to have that. There are some amazing graphic designers out there, Caroline. What fun! I’d love to see them all lit up in their neon glory! There is not much that I love more than old NEON. Great pictures! Austin here I come!! !